Amber reached out to me after she attended a wedding I shot in September telling me her exciting news. Her and Adam were expecting! It's always so exciting to hear when couple's are pregnant, and what was even better was that they wanted me to help them tell the world! My answer? YES!!!!! We met at the oh so beautiful River Front Park in downtown Columbia, SC. It was so gorgeous and we couldn't have asked for a better day! 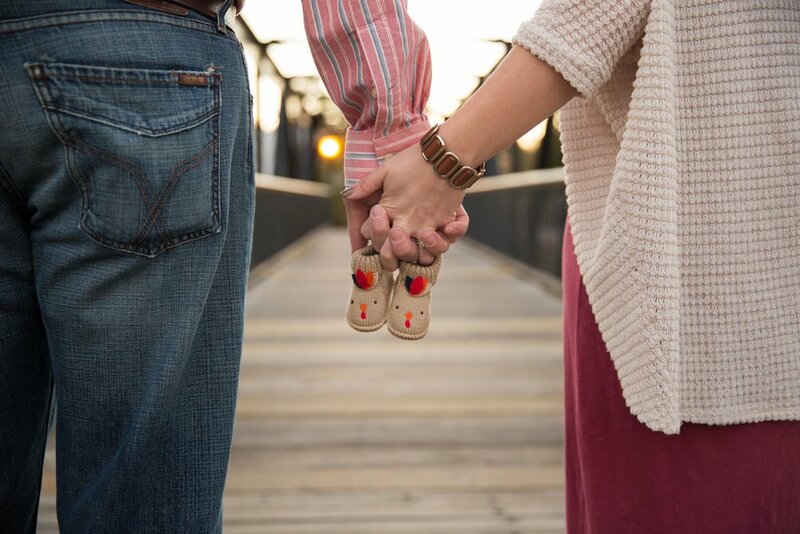 Amber had told me that they wanted to use pumpkins in their announcement, but I had no idea they would be so stinkin' cute! One of the reasons I love River Front Park so much is that it has so many different options for pictures! It's all so beautiful and makes for a perfect backdrop for any type of picture! I loved the way this tree complimented Amber's dress. As soon as I saw the color I knew we had take pictures in front of it! And it definitely delivered! Yes, these dogs are real! They blew me away with how good they did for their photo shoot! They were naturals! Congratulations, Adam and Amber! I know you two are so excited and will make AWESOME parents! Thank you for letting me capture this fun memory!